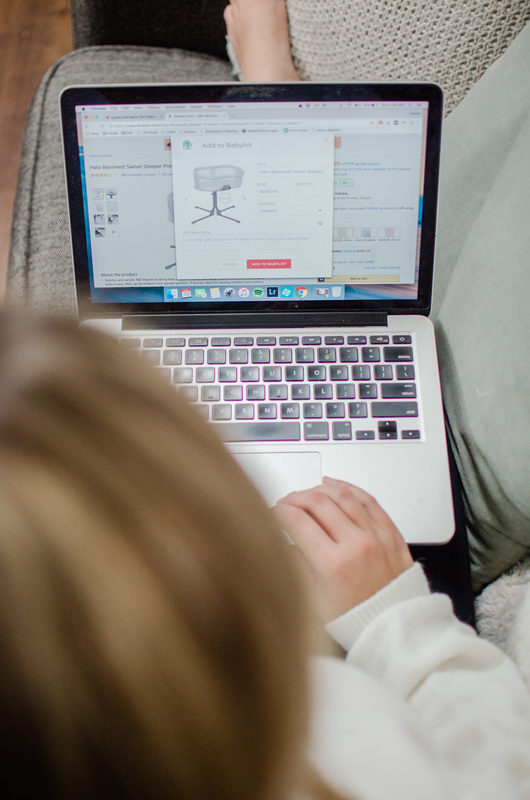 I don’t know about y’all, but when I was pregnant with my first, one of the most overwhelming things was tackling my baby registry. I was one of the first of our friend group to get pregnant, so I didn’t have a lot of first-hand advice from girlfriends. And it just seemed like a never-ending list of baby gear options. And then tackling the multiple registries?! I don’t know how many hours I spent researching, adding items, and flipping between my multiple registry lists to check for duplicates, overlapping items, or items I missed completely! It was a lot. Can anyone relate?! But thankfully this time around, I had a much better handle of things. As a second-time mom, I knew what items were the must-have baby registry items and which items just didn’t get used. And thankfully, since we already had a lot of gear from Layla, I wasn’t starting from scratch. But one of the biggest game-changers was my discovery of Babylist. 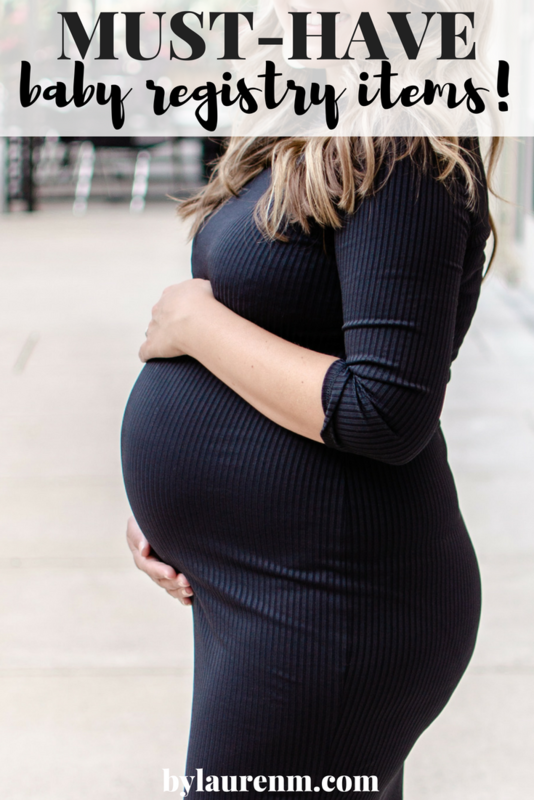 The #1 reason every mom-to-be needs Babylist is for their universal registry! It’s a registry like none other that allows you to register for items from anywhere. (Yes, I really mean anywhere!!) 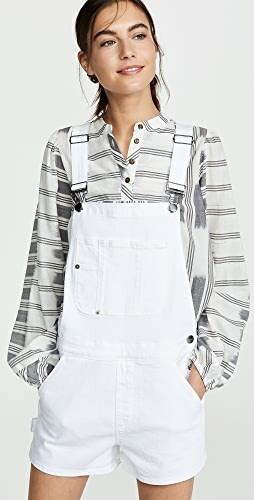 Have a few items from Target you want to include alongside Amazon products? DONE. Have your eye on some handmade Etsy items? You can add them too! Items from any website can be added to create one simple unified registry. 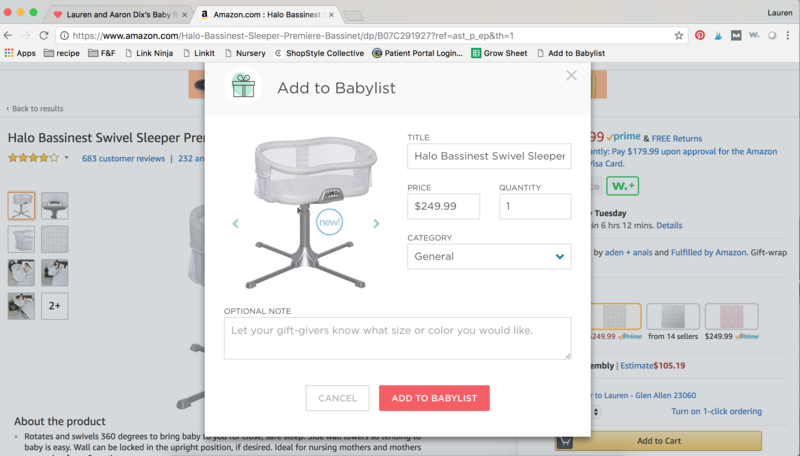 And adding the items is super-easy too with the Babylist internet browser extension. Once it’s installed, you just click the button when browsing any site to add it to your registry! You can also include notes to specify specific color or sizing requests you may have! 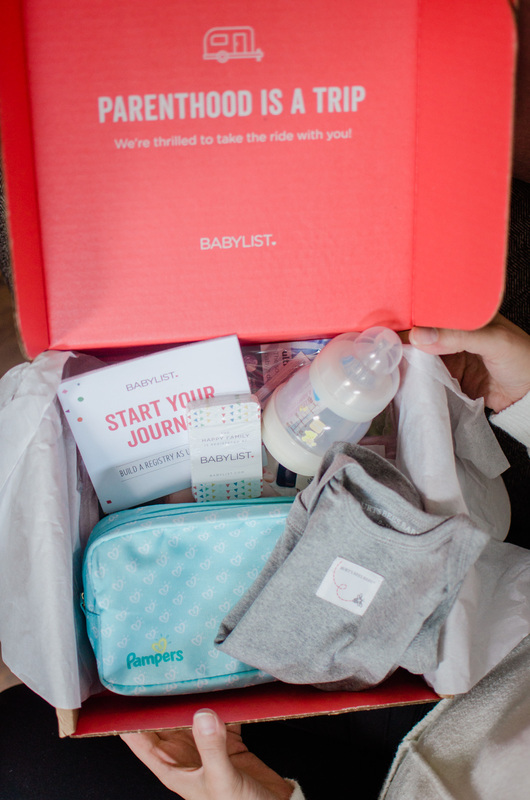 And bonus: once you create your registry, you can also receive a Hello Baby Box! Inside you’ll find samples as well as coupons from top baby brands! Now, let’s talk my must-haves! When I was pregnant with Layla, I remember struggling to know what was worth the money and what I just wouldn’t use! I’ll be honest with ya: some of it is very baby specific! But these are some essentials that even the second time through are proving to be necessities! 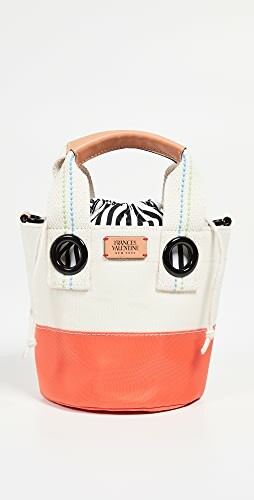 Every mom needs a good diaper bag, and this time around I’m all about the backpack! If I’m carrying my newborn in one arm and holding Layla’s hand in the parking lot, I clearly don’t have another hand free for anything else! I’ve been using this one for the past few weeks and love all of the pockets. And of course, everywhere I go, I pack my Solly wrap. It’s another way to stay hands-free and Eliana loves it too! This is the second time we’re using Britax for our infant car seat and stroller as well. In all honesty, it’s not the lightest weight infant car seat on the market, but it’s one of the highest rated for safety, and that 100% is the most important to me. Why didn’t I invest in the Halo Bassinest with my first?! I am obsessed with the fact that Eliana can be bedside within arms reach while also sleeping safely. The swivel also makes it easy for me to get in and out of bed. For daytime rest, I also love the Snuggle Me. It allows me to have a safe place to set baby down. It’s also how she chills next to me if I’m getting some work done! Another must-have is the Halo Sleep Sack Swaddle. For any mama who struggles to create an escape-proof swaddle, the sleep sack is a game-changer. Both Eliana and Layla just slept better swaddled, so I love that they can be cozy and safe (without the use of blankets!)! We don’t have a large dining space, so a small high chair is a must. We bought this one with Layla, and she’s still using it as a booster. I plan on buying Layla a smaller booster once Eliana is ready to use it in a few months. And I know bottles are a very baby-specific thing, but these Tommee Tippee bottles were a hit with Layla. I’m hoping Eliana will also take them, but if not, I’ve heard great things about Dr. Brown’s and Como Tomo as well. If you plan on breastfeeding or pumping, the Medela Pump In Style is my go-to! I also have to recommend this pumping bra, the Medela breast milk storage bottles, and bamboobies nursing pads! I also love my Boppy! Both my girls loved the sling-style attachment tub. We also love these hooded towels. (And when I say we, I really mean mostly me. ‘Cause who doesn’t love a little one in a cute towel?!!) We never used a ton of wash cloths, but the ones by Aden + Anais were always my favorite because they are thick and so soft!! For shampoo, conditioner, baby wash and more, one of my favorites is Babyganics! If you need another safe place to put baby down (you know, to finally take that shower you’ve been dreaming about 😉), I always turn to my bouncer. My girls don’t like to stay in it long, but sometimes you just need a few precious minutes, right?! We’ve also had success with the Rock ‘n Play! For blankets, I swear by these Aden + Anais swaddle blankets. 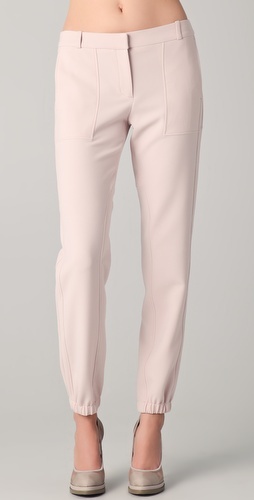 They are very lightweight for warmer months and are super-soft! 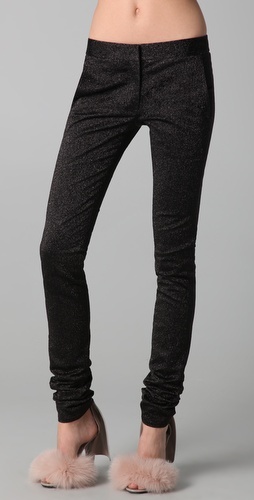 Plus, they come in a multitude of adorable prints. Both my girls are pacifier-lovers and the Soothie are our go-to’s! This is another thing that is very baby-specific, but we’ve been successful with these! 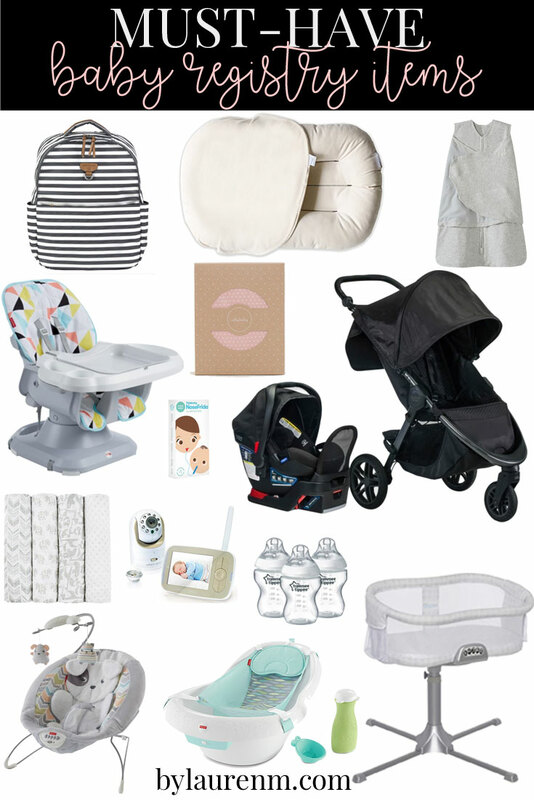 What are some of your must-have baby registry items? Shop Slipper Flats, Red Bikinis, Wedge Sandals, Tan Slides and more. Get this widget.